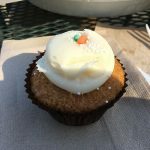 I had a reader comment on a post a while back (I forget the post now, but wrote down her question) and she was wondering how to redirect diet talk when she’s around friends. I loved how she referenced Mean Girls in explaining the way she feels. It can be hard to stand out and resist cultural norms. In the same way it’s difficult to redirect conversation and not partake in gossip, it’s also really hard to separate yourself, not contribute to diet conversation and even redirect diet conversation. I can certainly relate to this reader’s question. In the beginning stages of my anti-diet/intuitive eating journey I wasn’t confident enough to reject diet talk in conversations with others. There were times when I responded with, “uh huh…yea…I get that.” when somebody was talking about their body, what they ate, weight loss or whatever. But over time, what I’ve learned professionally and personally is that if I remain passive to diet culture and don’t boldly reject diet talk…diet culture will persist. And it will affect me. It’s like getting on a kayak going downstream and hoping to make it upstream without paddling. It just doesn’t happen. So how do we directly or indirectly refuse to participate in conversations centered around diet culture? And how do we positively contribute to conversations/relationships in a way that moves people away from diet culture? Just like an alcoholic needs a community + support in order to protect against relapse, the same goes from escaping diet culture. When I embraced the HAES/IE philosophy and rejected diet culture for myself…I actually became more aware of all the diet messages around me. They are EVERYWHERE. Stop following social media accounts that make you feel bad about yourself. Maybe it’s time to take a break from a relationship that involves a lot of diet talk. If it’s difficult to find friendships/relationships that support anti-diet culture, there are online communities and podcasts/blogs to read that can help create that bubble for you right away. The more your mind is engaged with anti-diet culture and not with diet culture…the less vulnerable you become when diet talk does come up. You have the right to set boundaries on your relationships. Boundaries make for good and healthy relationships. You are also allowed to change these boundaries whenever you see fit. Just because you use to participate in diet talk or body shaming doesn’t mean you have to today or in the future. What does setting boundaries look like? Maybe when the topic arises, you gently tell the person/people that you’re not interested in talking about food or exercise or bodies. Maybe you redirect the conversation. Saying, “Hey, let’s talk about something different. How was your weekend?” is a simple and less direct way to change topics. If you want to be more direct…”I don’t really want to talk about that stuff anymore.” can communicate your feelings pretty clearly. Remember that you may have to remind people in your life more than once. Diet talk is mainstream, it’s expected. Sometimes we don’t even realize we’re doing it. Try to be understanding if you know they really are trying to change. You don’t have to absorb everything around you. This can be hard in the beginning of your journey….really hard. But visualize being a brick vs a sponge. A brick absorbs very little. A sponge absorbs a whole lot. You have the choice to decide what you going to engage in and absorb and what you are going to let roll off you. 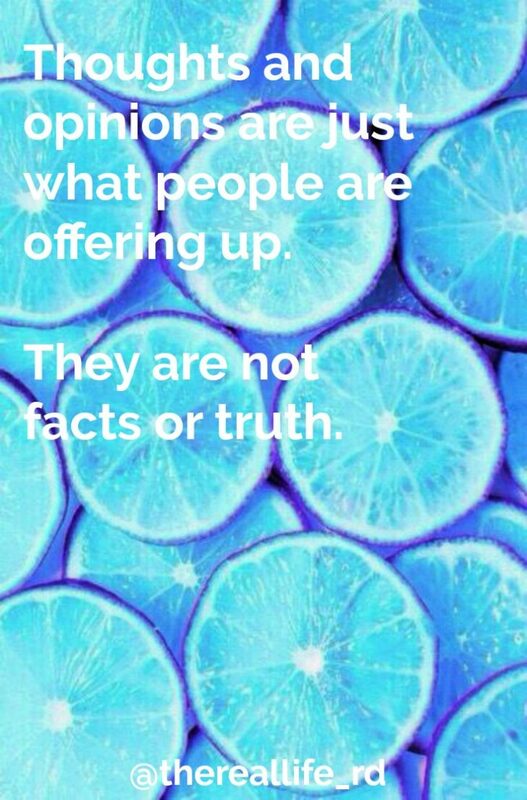 Thoughts and opinions are just what people are offering up. They are not facts or truth. After creating boundaries to protect you from triggering diet talk, you now have the freedom to decide how much you want to explain yourself or educate others. You don’t have to say anything if you don’t want to. Or even if you want to, it might not be the right time or place to do so. People will be open to the conversation at different points in time, and that’s important to remember. If you do want to share with others, think about how much pushback you can handle. Know when too much resistance is too much so you can leave or redirect the conversation when needed. Sometimes, engaging in a “debate” like conversation can do more harm than good. When you start living your life in a way that rejects diet culture and embraces IE and HAES your demeanor will change in positive ways. People will see this in the way you live your life and interact with others. When you start to believe in yourself, accept your natural body size, and trust in your body it will be very apparent to others around you. In turn, you will be sending all sorts of subtle messages even when you’re not overtly advocating for this way of living. You will be living your life in a way that indirectly shares the message without you even realizing it. Remember you have a right to set boundaries. Remember you are not a sponge. Remember that people don’t change overnight. They aren’t going to give up diet and body talk right away. We have all been living in this diet culture for years. And remember that you will continually encounter diet messages, but you are in control of what you let bounce off you and what you let absorb and take root. 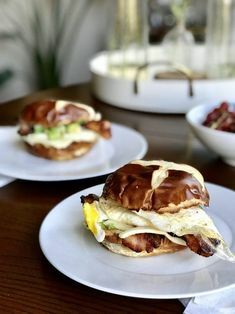 What are ways you have been able to reject diet culture in your life? How have you set boundaries in conversations and relationships? 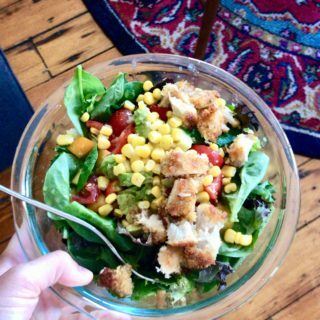 How have you created your own non-diet bubble? Love this post! I was talking about this topic in a group recently and someone suggested this idea: if a friend/loved one/whoever is using diet talk to talk about themselves or putting themselves down (e.g. “I look so fat in this picture!”/”I really need to lose x lbs before that vacation”/whatever) it could be helpful to say something like “man, I really hate to hear you talk about yourself like that!” or “I hate to see that you feel that way about yourself”, and follow up and ask them why they think that and tell them that they are such a kind and important person, and it makes you sad that they say unkind things about themselves. Obviously this is only appropriate for certain situations and one-on-one situations, but can be useful if you think that person may be struggling with diet/restricted behaviors. It could make a light bulb go off in their head and plant a seed that something can be wrong with the way they think about their body. If they aren’t, such a simple could do a good job of helping them notice how harmful and pointless it is to talk bad about their bodies, and that other people are noticing it. Let me know what you think! Love this Daniela….this could be a great way to planting a seed! Thank you Robyn for a great post! Do you have any advice on how to deal with people (particularly in the workplace) commenting on physical appearance? Even though I know they don’t mean any harm, I always feel uncomfortable when others make comments about my looks, specifically my weight. Last week I had food poisoning and had to go into work the next morning. The amount of people who said I looked “slimmer” was overwhelming and shot my self confidence. Was I only looking slimmer because I was sick the night before? I wan’t sure how to respond to these comments in a professional and friendly manner. I think you can directly, but respectfully say…”hey that kind of comment doesn’t make me feel good.” and that will let them know that their comment isn’t helpful, but damaging. In love with all of this wise advice Robyn; it’s so true that you have to analyze how much you can handle if you want to push back against the diet talk. 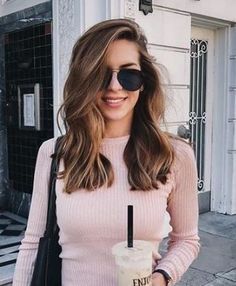 I think other girls are often encouraged when you do push back against it, because they realize that they want to break out of the diet talk too, but I have realized that there are places where I am weak and I have to kind of shut that off to protect my mental and emotional health. However I think that creating that anti diet bubble zone does really help strengthen the resolve to fight back against the diet talk and start a conversation about truly living in freedom and living to enjoy the food God has made and treating bodies gently as creations of God! 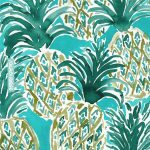 Filtering my Instagram and finding blogs like yours have been ways of really helping me create that ‘anti-diet’ bubble zone! agreed about filtering social media! I love this. Thanks for posting, Robyn. I took this idea to the extreme and actually wound up “breaking up” with my best friend at the time. We lived together and fed off (pun intended) each other’s disordered eating. It was one of the most painful things to do, but I know it was the right choice. We’ve tried to make amends, but she’s still very much stuck in a restrictive mindset. I also quit my job because I was working in a residential ED unit and found I was sliding back rapidly. I realize those examples sound selfish and dramatic, but I worked too long and too hard to recover. However, I also think it was good for me to be triggered in a sense–made me realize I still have a lot of work to do! Great advice, Robyn! I found myself in a conversation about Whole30 and some people were just hearing about it for the first time and others were like “yeah I’ll probably do it again”. I just said “it seems like a ton of work to me”. I think diets are a ton of unnecessary and unhelpful work and probably saying “it seems too time consuming or stressful” will probably work for a lot of diet conversations. I love this. I mentor women recovering from eating disorders and this is a topic they always ask me about. I’ll definitely be sending this post to them. glad it will be helpful! 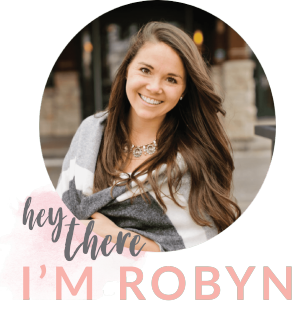 Hey Robyn, thanks so much for another awesome post! 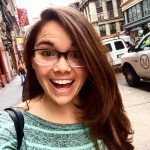 Your blog is the most encouraging thing I’ve found on the internet, and I love that you share links to other helpful sites, too. Posts like this have literally turned my life around, from a girl who thought about her body 24/7, had a horribly mixed up relationship with food and a head full of hateful, e.d. thoughts…to a girl who actually has been putting peanut butter in her oatmeal (cooked with milk, a’course), and eating for pleasure in the company of friends (without worrying about what they’ll think, or how many calories this or that is), and who can see those (totally evil) calorie counts on restaurant menus and still pick the cheeseburger. It’s not perfect yet, but I’m gettin’ there. 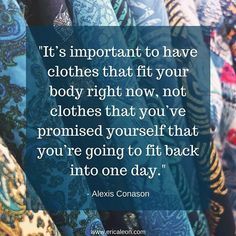 And obviously, the more I realize how destructive this whole diet-mindset is, the more I see it and hear it and break my heart over it…over all the people trapped in a life where their size and weight is The Most Important thing. The worst, for me, is when my friends say things (out of the blue) like, “now that I’m not a size — anymore, I can –“…or, “If I did –, I’d ruin my diet”, or, well, you’ve heard it all. It’s not direct body-bashing, it’s more like just bringing up weight and weight loss, exercise, dieting, almost like they’re trying to lead in to more “serious bashing”? I never know what to say when this happens!! Especially when someone is proud of themselves for losing a bunch of weight (not in an e.d. situation, necessarily). How can I be encouraging, and be a friend, and yet not support the idea that they’re better now that they’re smaller? As if!!! These can be tricky..I think I would respond with something gentle like..."Hmm, would that happen? I don't think eating xyz would ruin anything..."
Or if someone is proud for losing weight..."I think that's great that you feel good, but I love you the same at any size"
I love how God always gives us what we need to hear! 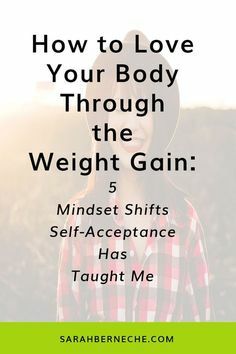 I loved this whole post but one thing imparticular you said resonated with me and tugged at my heart, “Just because you use to participate in diet talk or body shaming doesn’t mean you have to today or in the future.” AMEN! This goes sooo much deeper than just diet talk… but, I appreciate you saying this. You are so inspiring and encouraging and I can tell how much you care that we truly hear your message here… your passion is catchy!! I sure hope you and Mr. Nick have a wonderful day – and thank you again. Thanks for sharing Nicole! I think its really important to engage with normal eaters too – I know it’s so freeing for me as well! That can be more helpful than creating a defensive debate 🙂 Diet culture is so mainstream! I take a boxing class and the instructor planned a happy our outing after class one night last week. I went with my sister and we were naturally hungry for dinner and decided to order while waiting for others to come. My sister intuitively (she is just naturally an intuitive eater) ordered a salad because her body was craving veggies after a few days of not having them. I was pretty hungry and was craving a quesadilla. As soon as the instructor walked in to the happy hour he looked at my food and said, ugh you are eating that? Well I guess you worked out hard tonight. And then looked over at her salad. I was so stunned and like played it off like it was a funny joke and my sister stood up for me and was like yea she can eat whatever she wants. But I don’t think he even heard her. Unfortunately, I’ve been battling with an eating disorder/disorder eating & thinking since I was 13 years old. I am working so hard on learning about I.E./HAES but a comment like that was super triggering and it’s been hard to get past it. Love your blog. Love this post. I think I can use this in many other types of conversations/topics. This summer we visited Florence with 5 other couples,rented a large villa. It was not the best trip in terms of Table -time/meals. The Political climate was way over discussed.i really dislike all the disrespect towards our President. Many meals I excused myself and ate an energy bar in our room. Wished I had some of above to have helped me then. So happy for you and your husband on the next move. God Bless. Love this post! I find myself in these scenarios often, and many of my friends are aware of my struggles (as I’ve become quite open about it). 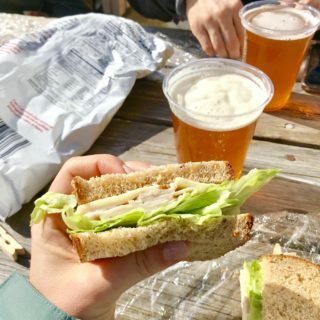 I tend to try to flip the conversation in its head – if a friend says something like “I can’t believe I just ate x amount of food.” I try to combat that guilty undertone by sharing how much energy that food will give them to get through the day, or how that food is simply fuel (our life source! )!without a good/bad connotation. I try to do this as early as possible before the conversation spirals! Thanks for the inspiration, as always. Love this idea Traci – I think that’s great! Great post, Robyn! My favorite one has to be “you are not a sponge.” I finally learned that several years ago and it has been KEY in rejecting the diet mentality that is so pervasive in our culture. Love how you are always spreading awareness about this and empowering women to embrace who they are! When I realized that too it was so helpful for me! Thanks so much for following up my comment with a full blog post! This was wonderful. I saw it was shared on the Food Psych Podcast Facebook group too… clearly a topic many want to discuss! Thank you for feeding this conversation. Wishing you a wonderful weekend STAYING PUT!!! Can’t wait to write it out! happy weekend to you too! I love your thoughts on this, Robyn. The relationships thing is hard. It’s hard when you know someone is trying to support you in your recovery and they’re not really succeeding. This came at the perfect time! In my MNT course a few weeks ago we discussed weight management and avoiding diet talking. It is hard to avoid it once you realize how often we all partake in negative diet talk. Your advice is great and I will try to incorporate it into my daily life moving forward. Thanks! I’m glad it was helpful Rebecca! This post is such a great reminder. Like you, until I really became awake to the idea of diet culture, I had no idea just how prevalent it was in almost every aspect of my life. 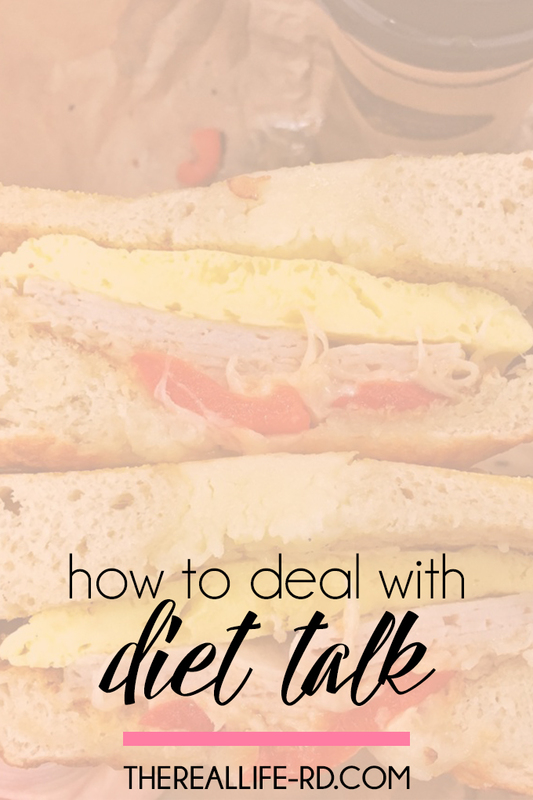 And like others have mentioned, after wanting to change my own beliefs, it became difficult to navigate through conversations that turned to diet talk and diet culture. However, I have learned that by living my life as I believe now, others have started to comment positively. Many have approached me and thanked me for sharing my beliefs because they feel, “other women need to hear it, too.” I don’t think we realize just how ingrained diet culture is, especially for women. If it were our religious beliefs or affiliation, I think we would feel much more comfortable in setting a boundary there, and perhaps even sharing with others the reason for our beliefs. We would feel confident to withdraw ourselves from conversations that don’t align with our personal religious beliefs because this is socially acceptable and almost expected. Why does it feel so difficult to do so when it comes to our body? Our food? Our physical and mental health? 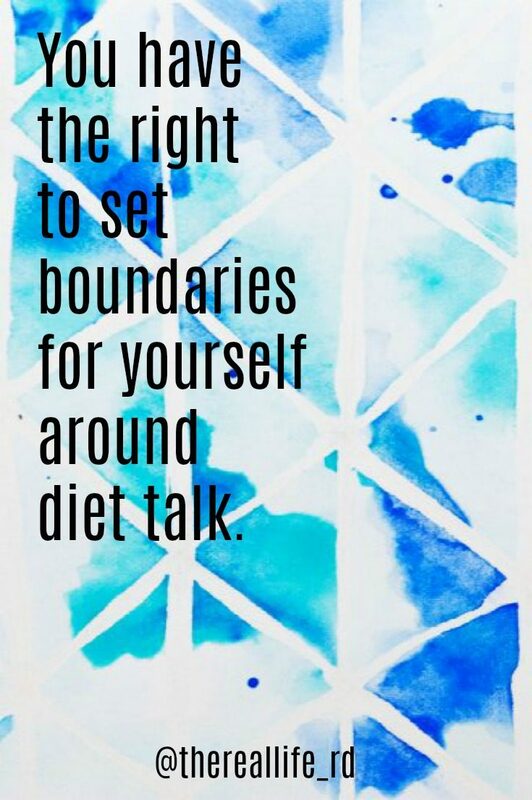 Just like everything else in life, with practice, coping with diet talk can become something we value in ourselves enough to learn how to set boundaries for it.